To say the last 3 months of my life has been crazy would definitely be an understatement. 3 months ago, we lived in a beautiful home in Utah close to family, friends and everything! Little did I know that our life was about to be turned completely UPSIDE DOWN! 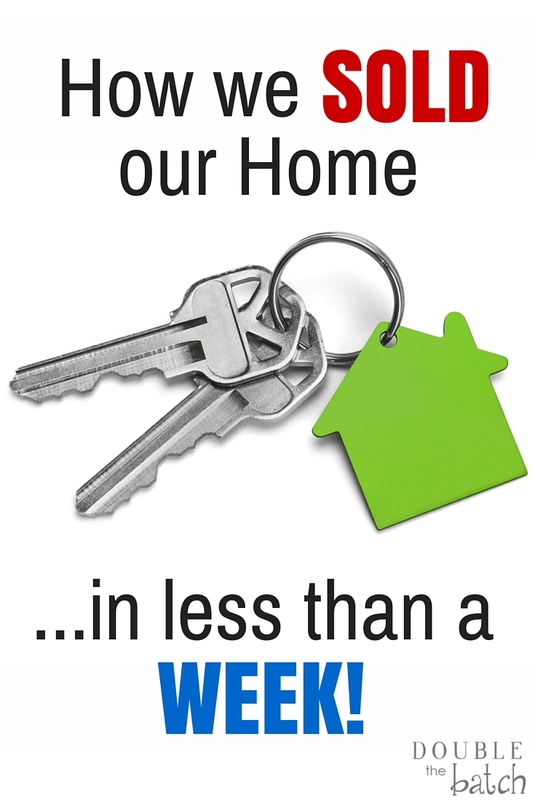 If you are wondering how to sell a home in less than a week, here is how we did it! My husband’s grandfather passed away and he flew to Kentucky for his funeral. I should probably mention that my husband’s roots are in this tiny town in Kentucky, but since his mom moved when he was 7, he lived most of his life in Utah. The day before he was supposed to fly home, he called me (very early in the morning) and said he hadn’t been able to sleep for 2 nights because he had such a strong feeling that we were supposed to move out there. I told him we would talk about it when he got home. I also thought this crazy notion he had would quickly disappear. After he got home, I also started to feel the same way…and I had never even been to Kentucky! Some may think it was just fate, but we both believed it was God and that their was an unknown purpose for our family in this little town in Kentucky. It would take me forever to tell you all the miracles that happened to make it possible for us to move but I will save those for another time and just tell you how to sell a home in less than a week. Make sure it’s right. This is the second house we’ve sold and with BOTH houses we had a strong feeling that selling our house was the right decision. If your house is supposed to sell, I believe it will. But because I have a Christian background I have to say that making it a matter of prayer is always a good thing! Find a realtor. We thought about calling our realtor AFTER we had fixed up the house but I’m so glad we called her BEFORE. You know you have a good realtor if they are willing to walk through your home with you and be brutally honest about what needs to be done in order to sell your home. I’m telling you, it’s not easy to have someone look in every nook and cranny and remind you of all the things that have been neglected over the years that now have to be fixed. After all was said and done, though, we knew exactly what needed to be done. Clear it Out. When you are getting your house ready to sell, you need to think from a buyer’s perspective. A buyer wants to see a house the is move-in-ready and a buyer wants to be able to picture themselves living in your home. They can’t do that if the house is cluttered, dirty and filled to the brim with your stuff. We took our realtors advice and rented a storage unit. We got rid of anything that we didn’t want to haul clear across the country. Then we packed the storage unit to the brim with anything we didn’t absolutely need. We knew we were supposed to move so the thought never even entered our mind that we might have to live this way long-term. We made our home look as empty as possible! Fix it. You might be thinking that you don’t want to paint and you don’t want to replace your carpet. It’s easier to just put money in an escrow account for the new buyers to do it themselves, right? Wrong! If you do that, you can count on getting a whole lot less for your home and possibly waiting a whole lot longer for a buyer who wants to go through that trouble. This is especially true if a family buys your home. Why would they want your home if someone else’s home looks nicer and is move-in-ready? 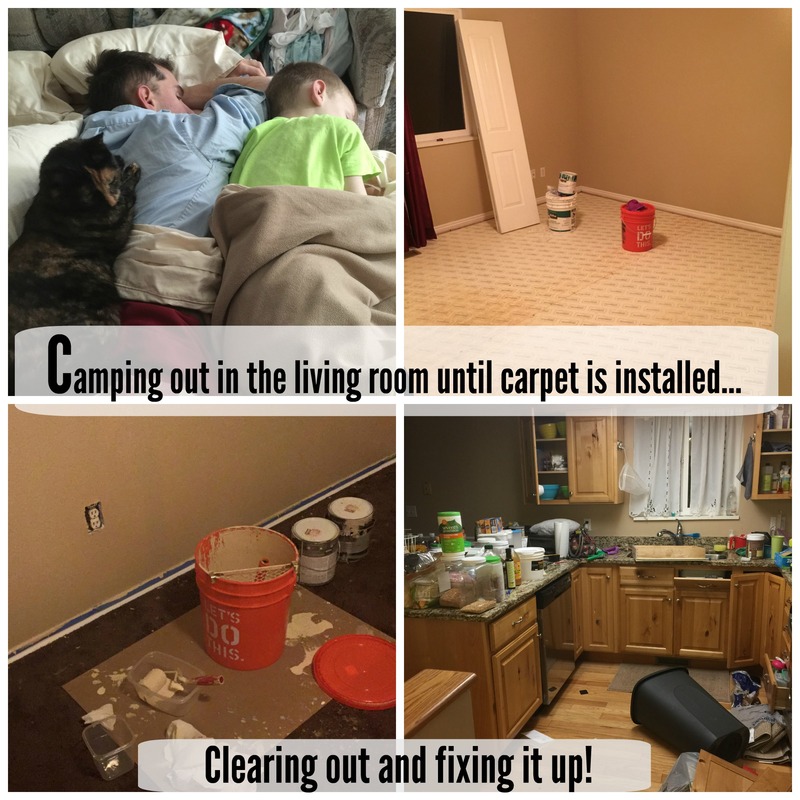 We invested a few thousand dollars and replaced the carpet, painted, and fixed items we knew would bring down the value or come up as a red flag in a home inspection.. 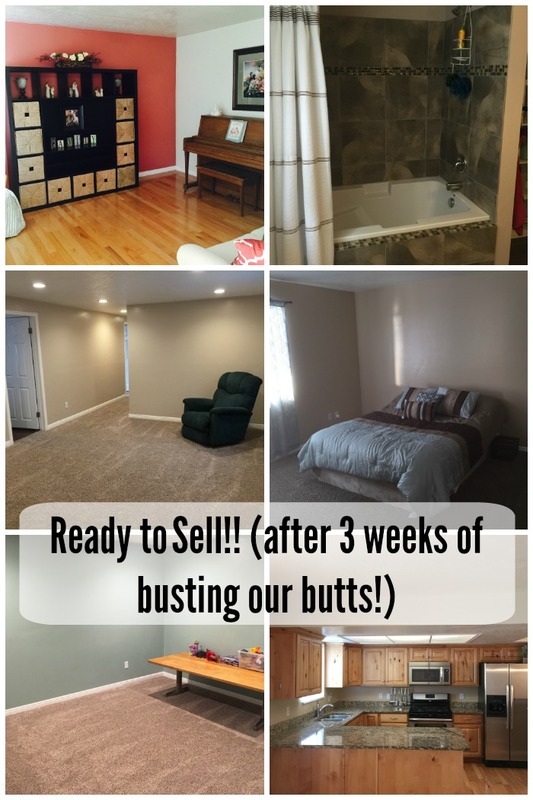 It paid off in the long run because not only did our home sell in about 3-4 days, when we moved out, we had hardly anything to fix up or clean because we had already done it BEFORE we put the house up for sell! Make sure the price is right. Our realtor helped us compare houses similar to ours that had sold recently so we could decide on a price. We priced it below top dollar but above rock bottom so it would sell quickly and so we would hopefully make a big enough profit. Not only did we get an offer for exactly what we asked, we made enough on our home to pay off most of our debts and move to Kentucky! Leave. This one isn’t always possible for everyone but in order to share how we did this I have to add this piece of advice. We purposely planned our trip to Kentucky to look for a new home right after we put our house on the market because we knew from previous experience what a nightmare it is to keep your home show-ready when you have little kids! 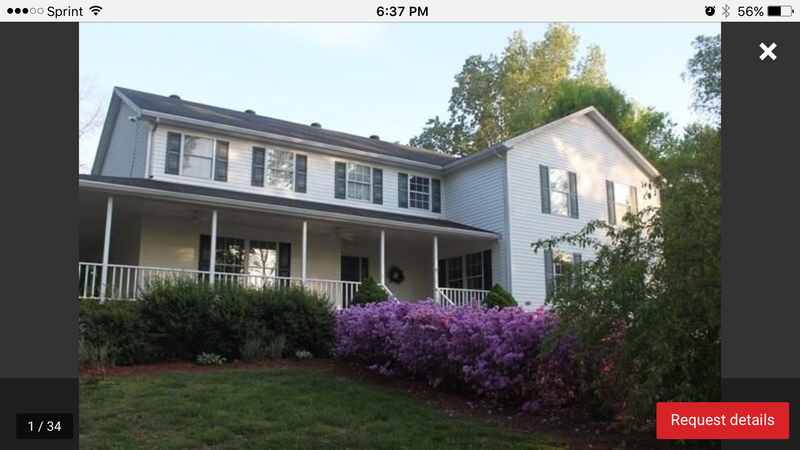 So, while we were in Kentucky for a week looking for a future home to buy, our home was available for many realtors to bring people for showings without giving advance notice. Within 4 days we had a signed contract on our home in Utah and a signed contract for a home we found in Kentucky. Talk about miracles! A lot of things come into play when you consider selling your home such as location, value, condition of the home. Obviously not everyone will sell their home as quickly as we did, but hopefully this advice will increase your odds immensely! I have to also give a shout out to our 2 AMAZING realtors who went above and beyond to make this all possible for us! IF by some crazy chance you are buying or selling a home in Utah, give Vickie Bischoff a call. She did more than help us sell our home, she became one of our good friends. To her, relationships matter more than commission, plus you’ll get a special gift from her every Christmas! Also, if you are buying or selling a home in Kentucky, Jamie Rogers is one of the most down to earth, hard-working, and humble people I have ever met! He not only helped us find a home, even now, AFTER closing, he continues to help us. He’s our “newest neighbor” as he always says! Look at the amazing home he helped us find out here in this beautiful country! Also, I have to add that, while moving clear across country, away from our friends and family, took a giant leap of faith, it has been one of the most amazing experiences of my life and we already have new friends and a wonderful community. We love living in the country!! Follow your heart and where God leads you and you will never go wrong! Best of luck in selling your home and may the odds be ever in your favor! Come back later and tell us how YOU were able to sell a house in less than a week!